I found this paper at the LSS and feel in love with it. I told Linda, aka LGuild, that we needed some! 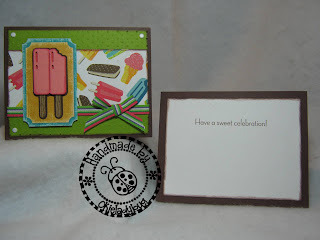 The inside sentiment is from the Stampin Up "Sweet Scoops" stamp set and I was going to link it but can't seem to find it on their website so it might be retired. The stamp set is ice cream cones so I new it would work well with the theme of this card. 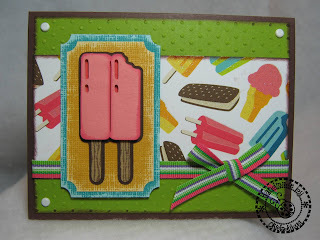 I cut the top layer of the popscicle twice and then pop dotted with mounting foam. On the wooden stick I used the ripple stamp from the Sweet Scoops to give the sticks a woodgrain look. 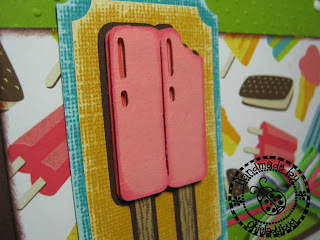 The corners of the mat were done with the Stampin Up Ticket Punch, which might be retired as well since I couldn't find it on the website either. My daughter loved this card when she saw it and said "I WANT ONE!". I told her "It's not your birthday". She didn't get one either! I think it works well for an adult or a child which is hard to do sometimes for me since most of my cards are adult themed...uh and sometimes VERY adult themed!! 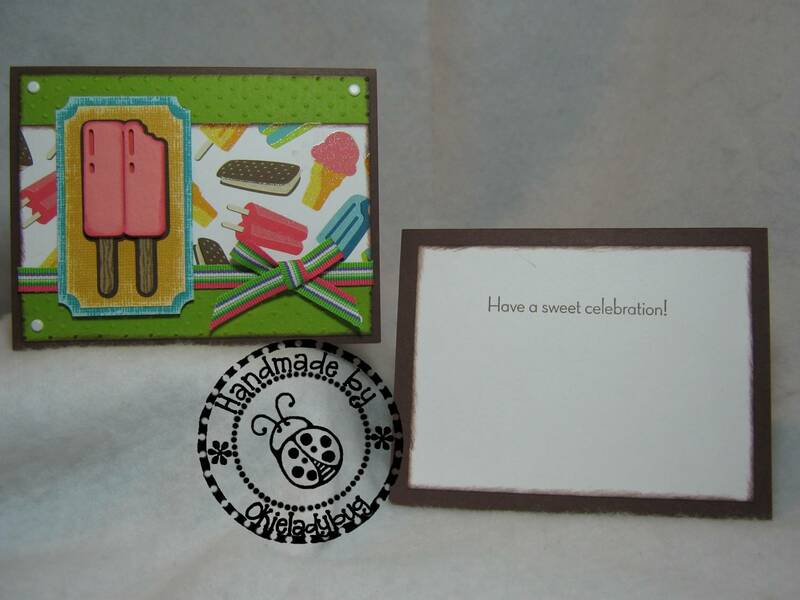 *okie falls out chair laughin thinking about her Naughty Princess and Naughty Girls cards and just knows that one of these days she is gonna get kicked out of the Cricut community for some of her card ideas*. ADORABLE!! Love your card and the nice finishing touches you gave it. Happy New Year, Okie! !--Pat N.
love this paper and card! and your fun side comments...just for making us laugh they will never kick you out! !